The days of matte-face are over. Celebrity makeup artists have spoken, and dewy makeup is in! Oily skin types can rejoice, and put down the oil-blotting sheets and powder. But don’t step out looking like a slick mess; the goal is to nail a “glistening radiance,” which is easier than it sounds. 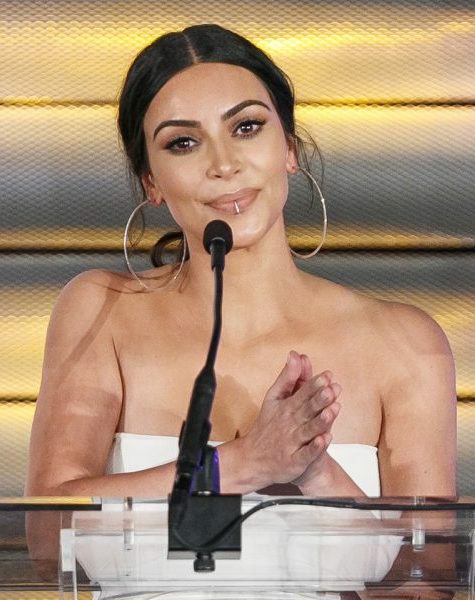 We recently spotted Kim Kardashian’s dewy skin-with-matte features makeup, and all we can say is: obsessed! 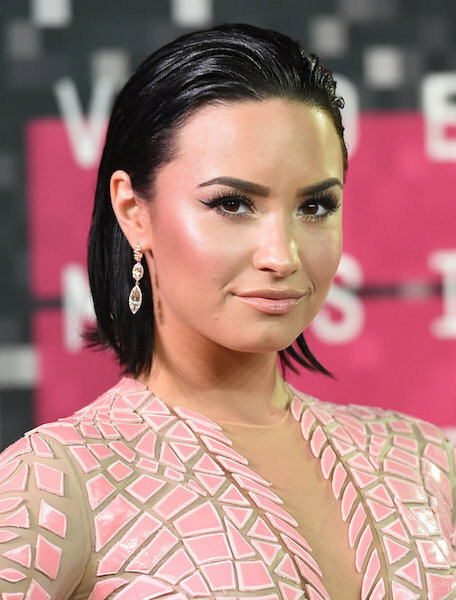 Her long-time MUA Mario Dedivanovic created the look by ditching foundation for Laura Mercier Tinted Moisturizer ($44) and Anastasia Beverly Hills lip palette ($48) to custom-blend the matte lip shade. 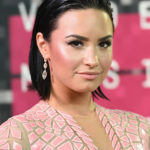 Nina Park, who’s dolled up Zoë Kravitz and Bella Hadid, calls it “dewy skin with strategic powdering,” and says it works well for combination skin types. The key is balancing a dewy/matte ratio, which Kerrie Urban, MUA who’s worked with Kiera Knightley and Brie Larson, puts it simply: dewy cheeks and a matte T-zone. Shining up the T-zone will only make skin look oily, and we want glowy! How-to: MUAs agree, prep skin with an anti-shine primer around the hair line, forehead, nose, and chin. Kerrie Urban suggests using Murad Matteffect Blotting Perfector ($39), applied with a beauty blender to the T-zone and letting it dry for about 30-seconds. Next, Nina Park prefers to use a sheer water-based foundation and concealer on places that may need additional coverage. Kerrie Urban suggests Armani Luminous Silk Foundation ($64). Using a smaller face brush, powder certain areas: under eyes, around nose, hair line, mouth, and chin, but keeping the tops of the cheeks and sides of the forehead dewy, says Nina Park. To finish off the look, a liquid highlighter applied to cheekbones makes the face pop and ensures dewy skin-perfection. Tip: Ashlee Glazer, Smith & Cult Beauty Ambassador, who’s worked with Rachel Zoe, says: Mix oil with your foundation to sheer it out and give your skin that iridescent glow! For the lazy girls, a quick spritz of Tatcha Luminous Dewy Skin Mist ($48) easily transforms a matte face into a complexion of dewy goodness.